Mail art (alternatively called “correspondence art” or “postal art”) emerged as a form of artistic practice in which an international network of participants use the mail to make art and share it with others regarding culture and communications, creatively sidestepping the art market and, in many instances, eluding government censors. Join us on a road trip through the Archives of American Art. The photographs, sketches, diaries, correspondence, and video recordings on view reveal how artists have shaped and are shaped by their surroundings, from the 1830s to the 2000s. These materials lead us off the beaten track, offering unexpected insight into local and regional histories as well as personal stories of exploration, immigration, and migration. Together, documents from all 50 states and the District of Columbia represent the diversity and depth of art in the United States. Alternatively expressive and aloof, the contradictory attitudes of cats make them compelling sources of inspiration. They are seen in numerous guises: playful subjects, humorous topics of conversation, independent studio companions, and beloved members of the family. 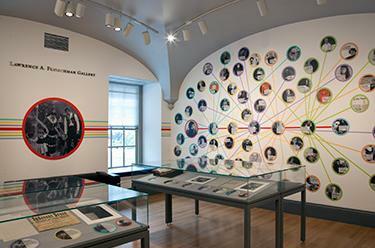 In celebration of the 2016 Grand Opening of the National Museum of African American History and Culture at the Smithsonian Institution, the Archives of American Art presents selections from recently acquired collections, highlighting the cultural contributions and the personal stories of African Americans in the art world. Artists find inspiration everywhere. Even the most ordinary circumstances can prompt new ways of thinking about and making art. 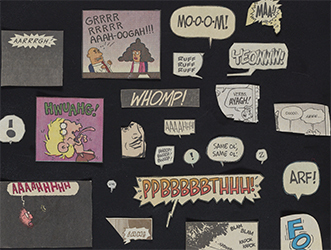 The artists featured in this exhibition collected, organized, and transformed a wide variety of source materials as part of their creative process: comic strip panels, newspaper clippings, snapshots of mundane scenes. Yet the ways in which artists draw on them provides a glimpse into the twists and turns of their creative practices. Robert Motherwell (1915–1991) helped forge a new vision of painting that established Abstract Expressionism at the vanguard of post-war painting and transformed New York into the epicenter of the art world in the second half of the twentieth century. n this era of digital communication, contacts can be quickly updated, shared, and even deleted at the click of a button. Before smartphones and computers, traditional address books stored important, and sometimes confidential, contact information and other details. The grimy, dog-eared pages of these pocket-sized books reveal webs of personal and professional connections. Often, the depth of each relationship remains a mystery—a name jotted down in tangled ink and pencil might be a close friend, a family member, a recent acquaintance, or a critic. Included in this exhibition are letters, photographs, writings, and rare printed materials documenting Yasuo Kuniyoshi’s life and work. This exhibition was organized in conjunction with “The Artistic Journey of Yasuo Kuniyoshi” exhibition at the Smithsonian American Art Museum.